Aerospace Engineering and Aviation at Steubenville High School (SHS) is an interactive Ohio Career and Technical Education program that integrates science, technology, engineering, art, and math. By utilizing the latest technology available, the program facilitates learning based on aviation and aerospace industry standards. 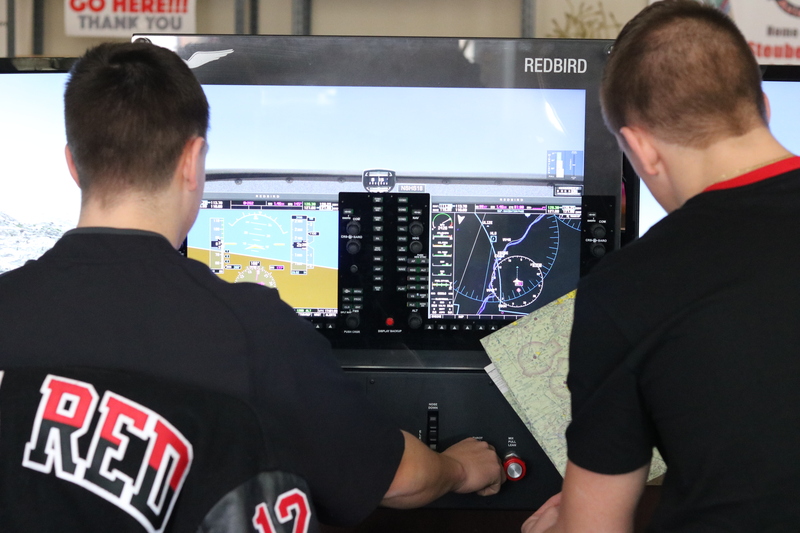 Our Redbird flight simulators, for example, have brought the airport into the classroom setting. Students use the simulators to practice everything from preflights to cross country flying. The simulators, in conjunction with aviation apps like ForeFlight and interactive technology such as drones and 3D printers, allow our students to apply classroom lessons to real-world situations and explore the boundaries of course content. 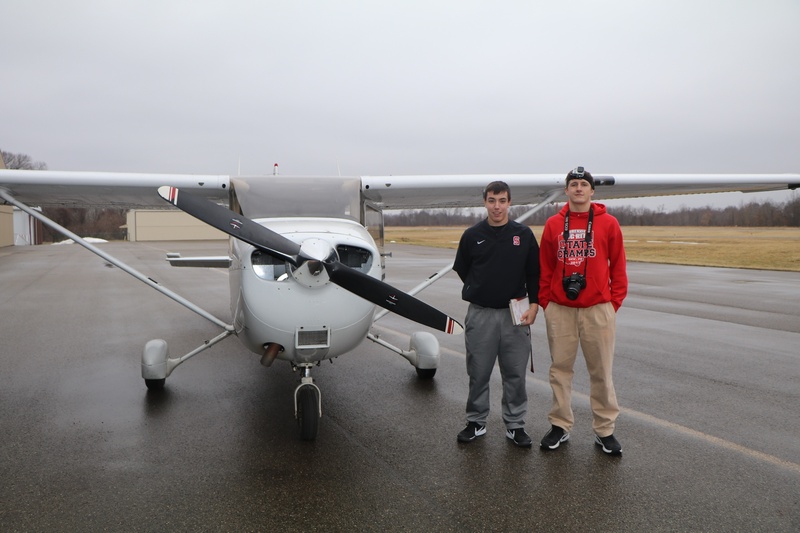 In 2017, SHS Aviation became a partner in the pilot program of the AOPA You Can Fly High School Initiative. With the AOPA High School STEM Curriculum, SHS has been able to engage all levels of learners in science, technology, engineering, and math (STEM). Especially through the hands-on activities that the curriculum enables, students of all ages and experience levels are enjoying and immersing in the course content. The results have been amazing. The cross-collaboration between programs and academics has created a positive educational atmosphere that fosters higher learning. Hands-on exploration and creation, particularly, have allowed students to learn multiple subject areas simultaneously while practicing critical thinking skills. 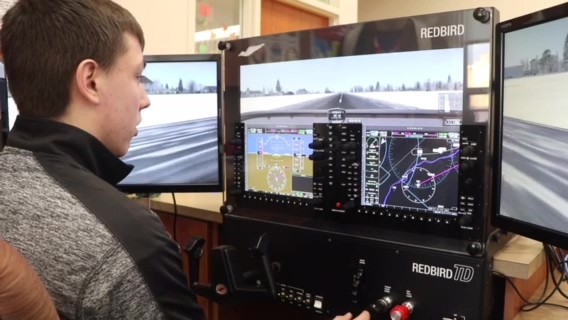 This spring, with the help of a grant from American Airlines, Steubenville City Schools will open a Redbird flight simulator lab. We’re thrilled to have received the grant and to continue growing and advancing our program. By sharing our passion for aviation with young students, and enabling them to explore flight in the sim lab, we believe they will have opportunities to apply STEM lessons to a career in aviation, engineering, and/or aerospace. After initially offering the Aerospace Engineering and Aviation Program to our freshmen three years ago, we now have expanded the program to all high school grade levels and select middle school grade levels. The “secret” of flight is being shared with students who likely would not have otherwise discovered it. What's more, students are following their interests in aviation to the specific pathways that appeal most to them. As we continue to build the program, we hope that it will not only engage students in aerospace and aviation but also empower them to pursue careers in these fields. Natalie Campana is an Aviation Instructor and Interactive Multimedia Instructor at Steubenville High School. A devout aviator, she also is a pilot and an Advanced Ground Instructor in Ohio.